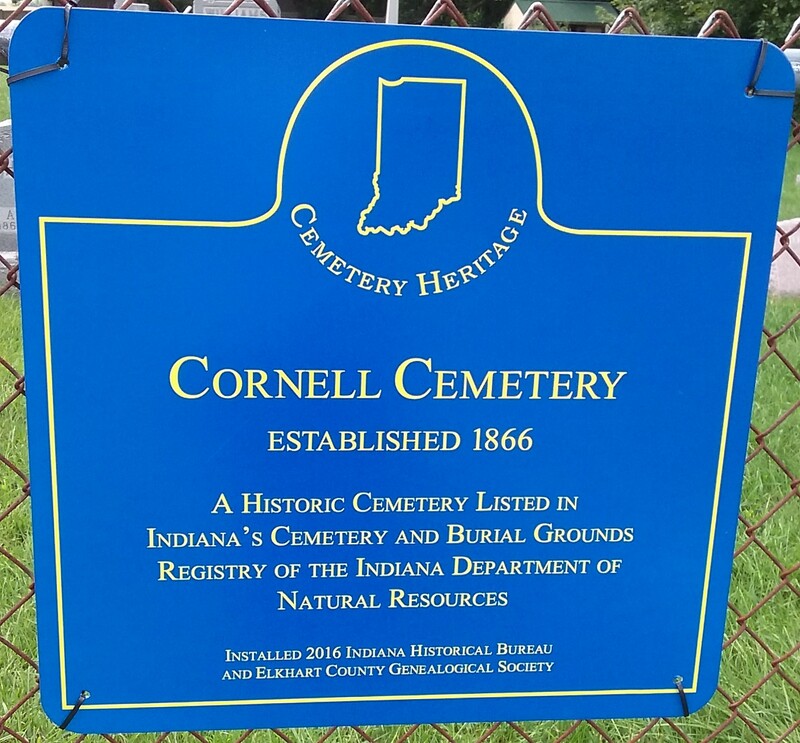 Located on the west side of CR 31, on a small knoll and about 1/8 mile south of CR 22 in Jefferson Township. 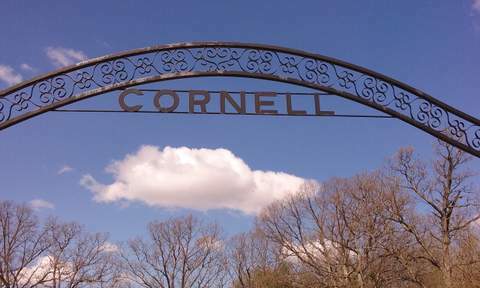 It was founded on the Jacob Cornell farm and he owned adjoining lands in Jefferson and Middlebury townships. Oldest grave seems to be for Mary C. Paxson who died in 1834. It consists of two sections. Vandals had broken some stones in the late 1970's and these stones are embedded on the ground and new stones were erected in front of them. The rows were copied starting on the east side, beside the fence and all rows were copied from north to south . Copied July 26, 1980 . Rechecked the fall of 1987. Jefferson Twp. Trustee in care of cemetery.